Our special Loyalty Promotion for you !! 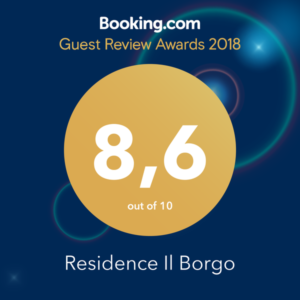 Have you already been a guest at Il Borgo Residence? Present us your friends and you will both be rewarded with a discount on your holiday! The more friends you bring, the more discount you can accumulate on your vacation! If you introduce new friends, with each new booking confirmed you will be entitled to € 50.00 discount on your holiday. 1. YOU: you must already be a customer and you must have an active reservation for the current season. WHEN THE DISCOUNT IS AGREED? The discount is counted in the booking estimate of both and is indicated in the booking confirmation. It is not possible to arrange it upon arrival. After spending their holiday at Residence Il Borgo, your friends can also present new ones. Do not miss this opportunity! 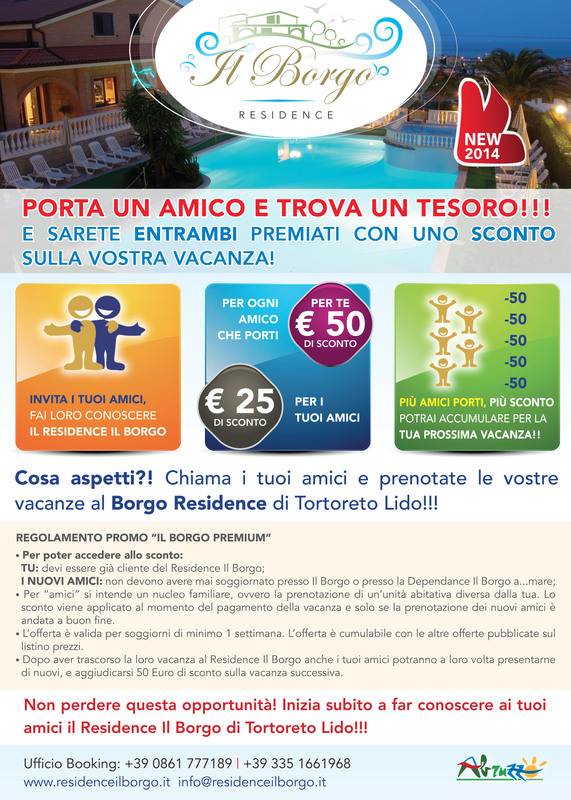 Start immediately to let your friends know the Residence Il Borgo di Tortoreto Lido !!! – “friends” means a family unit, or the booking of a unit different from yours. The discount is applied at the time of booking the holiday and only if the booking of new friends has been successful.